As a multi-specialty dental office in the southern New Jersey and greater Philadelphia area, our team of experts can complete full mouth rehabilitation cases to help improve patients’ oral function, aesthetics and overall general health. We offer a higher level of service and comprehensive care as the treatment plan is developed to coordinate the patient's needs together with the specialist’s field of knowledge and expertise. Haddonfield Dental’s staff is dedicated to changing people’s lives through full-mouth reconstruction treatment and care. Prosthodontist - A specialist in prosthetics and restorations (crowns, bridges, dentures and dental implants), Dr. Espinoza will design and guide your treatment plan and incorporate other specialists as needed. 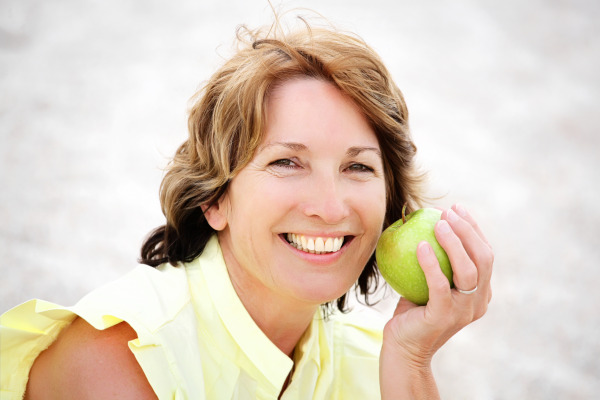 Dr. Espinoza creates restorations for a healthy bite and a complete smile that is natural looking. Periodontist - Dr. Joseph Ahlo is a board certified periodontist who specializes in treating soft and hard tissue. If you are in need of dental implants, bone grafts, gum disease treatment (surgical and non-surgical), Dr. Ahlo can provide options for comfortable care. For complex cases, Dr. Ahlo performs surgery on your teeth and gums, while either he himself or a dental anesthesiologist (Dr. Jonathan Mendia) can provide IV or other forms of sedation. Periodontal treatment for gum disease may help to lower the risk of other health conditions such as high blood pressure, stroke, diabetes, and heart disease. Endodontist – Specializing in microscopic, non-surgical root canal procedures, Dr. Shannon Cole-Ahlo works to save the integrity of your tooth (or teeth). Through root canal therapy, your tooth is maintained and a crown is placed to protect the remaining portion from further damage. Our team also includes a skilled general dentist, Dr. Lindsay Wessner, to assist in varying reconstructive treatments, depending on the patients’ oral health needs. With multiple specialists on site, Haddonfield Dental can provide a level of work that cannot be found at other dental offices. Our specialists, general dentist, and hygienists work together to improve your oral health using the least intrusive and most predictable procedures available. Whenever necessary, we help patients with dental fears or anxieties experience worry-free treatment with dental sedation. Our Cherry Hill dental office wants our patients to be comfortable throughout full mouth rehabilitation procedures. Our efforts to restore your oral health and function is part of a process that includes help with organizing the financial aspect of treatment. Patients who have to visit several facilities may experience insurance complications. At Haddonfield Dental, we keep our specialty treatments in-house, which can help our patients maximize insurance coverage, and thus help to alleviate the overall financial burden of complex dental care. We also offer a very popular in house plan, as well as Care Credit, which can both be very helpful in allowing someone to achieve their dental needs. If your general dentist has referred you to us, or you are looking to find out more about restoring health, beauty and function with comprehensive dental care, please contact Haddonfield Dental to schedule a consultation.